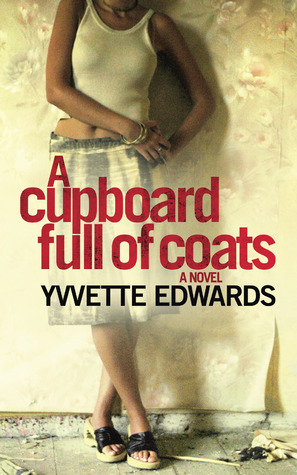 My opener this week is from A Cupboard Full of Coats by Yvvette Edwards which was longlisted for The Man Booker Prize in 2011. It was early spring when Lemon arrived, while the crocuses in the front garden were flowering and before the daffodil buds had opened, the Friday evening of a long, slow February, and I had expected when I opened the front door to find an energy salesperson standing there, or a charity worker selling badges, or any one of a thousand random insignificant people whose existence meant nothing to me or my world. He just knocked, that was all, knocked the front door and waited, like he’s just come back with the paper from the shop, and the fourteen years since he’d last stood there, the fourteen years since the night I’d killed my mother, hadn’t really happened at all. Crushed by an impossible shame, Jinx’s life has been little more than a shell; estranged from her husband, she is even relieved when he takes her young son with him. When Lemon, an old friend of her mother’s, turns up on her doorstep, Jinx is forced to confront her past, and with the pain of remembrance comes the possibility of redemption. But Lemon has his own secrets to share, and together they unravel an unforgettable family drama, stoked with violence and passion. Rich with voices from East London and the West Indies, Edwards’s narrative is delivered with a unique and uncompromising bite that announces a new talent in British fiction. I’ve borrowed this book from the library, attracted first of all by the title, wondering why it was called A Cupboard Full of Coats, and then by these opening paragraphs. I want to know more about Jinx, why she killed her mother and how the cupboard full of coats comes into the story. What do you think and would you read on? Between the intro and the blurb, I’d like to know more! I read this one back in 2011 and really enjoyed it although I’d forgotten quite how strong that opener was. Yes, this opening has me hooked, I would have to read on. The title is what first captured my attention too, and I like the opening you shared. I want to know more about Jinx and her past. Adding this to my wish list. Thanks for sharing! I would love of keep reading. Those opening paragraphs captured me too. I’d like to know more about this book. I think I would read more. I would like to know more too: an intriguing title and enough in that opening to catch my attention. I’ll look forward to your review later, Margaret! That’s a very intriguing beginning, Margaret! And the writing style is smooth and inviting, too. I’ll be interested in what you think of this when you’ve finished. Umm, so the first sentence I didn’t like but then the 2nd sentence had a great hook. Not sure I’d pick it up from the blurb though. The last sentence of the intro had me wanting to read more. Sorry I’m a little late responding but this has been a stressful week with testing and doctor appointments. I would have to keep reading.